Its very easy to spot Reba, she’ll be wearing her pink cowboy boots, dressed up with “Lots of Bling” wearing a huge Texas smile and the most energetic person in any room. Reba’s mantra is “Fight Like a Girl”! Reba has shared her story through multiple speaking engagements of which several hundred people have attended. Reba also has a website where she provides details of her battle with cancer including before and after photos, videos and commentary of her own surgeries. Its very important to Reba to try and remove some of the anxiety that women are faced with when going through surgery or treatment for the first time. Reba was diagnosed with Breast Cancer in 2011. This diagnosis resulted in multiple surgeries and procedures including but not limited to: double mastectomy, hip replacement, part of her spine being removed with a steel rod inserted in its place, several lumpectomy’s, blood transfusions, radiation therapy and chemotherapy of which she is currently receiving her 5th round. In the fall of 2014, Reba’s diagnosis became terminal and she was given 2 to 5 years to live. I’m providing you these details not for anyone to feel sorry for her (she would never tolerate that) rather to have an appreciation for the work that she has done and continues to do given her diagnosis. Reba started 2 foundations, Reba’s Vision and the Pink Roadhouse Mammo fund. The mission of the foundations and the legacy that Reba wants to leave behind is “Stomping Out Breast Cancer” in the West Valley. 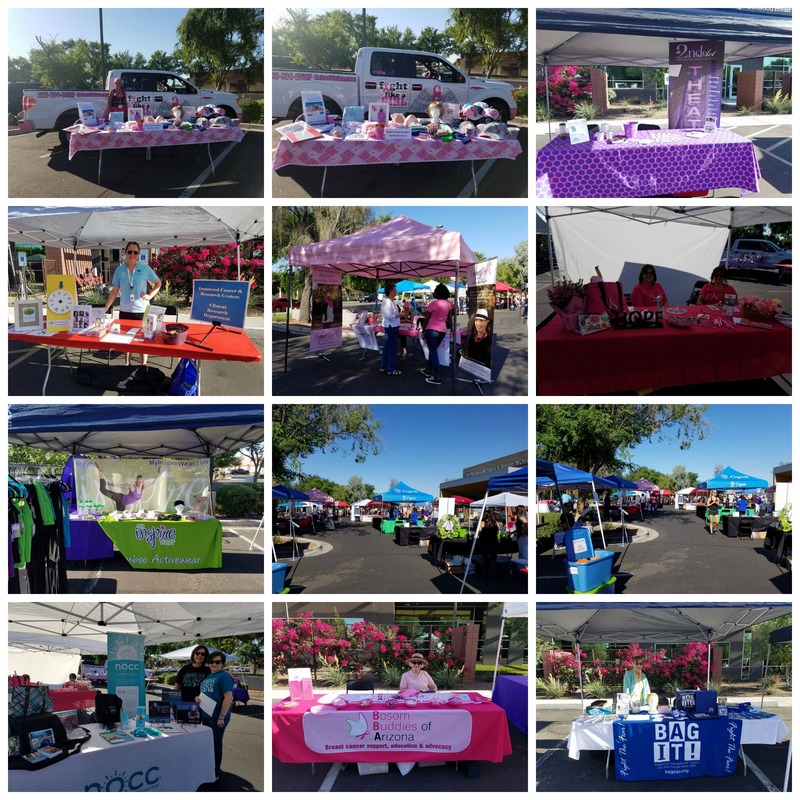 In partnership with Banner Lakes Imaging, all of the proceeds raised are utilized to assist women without insurance in receiving a 3D mammogram. To date, Reba’s foundation has raised over $40,000. In addition to her time spent working with her foundations, Reba is also active with several Chambers of Commerce in the West Valley, works with several local charities to include, Relay for Life, Andy’s Outreach, Peoria Firefighters Charities, Transplant Team of Arizona and Wounded Warriors to name a few. As if that weren’t enough to keep anyone busy, Reba also makes and presents “Baskets of Hope” to women who have been diagnosed with cancer. Reba designs all of the baskets herself, fills them with gifts donated from the community and presents them in person. I’ve watched Reba receive calls from women who are depressed, shocked, scared and are usually crying when they connect with her. Regardless of how poorly Reba is feeling (know there have been many very very bad days for her), I’ve watched her get out of bed, dress in her pink outfit including angel wings and lots of bling, announce that a women is in need and she is heading out to present a “Basket of Hope” and not to expect her back anytime soon. This selfless act, one that she’s carried out multiple times while in tremendous pain of her own, I believe speaks volumes to why Lisa (Reba) Mason deserves to be recognized. The many kind people that I’ve had the pleasure to meet through Reba often comment to me how lucky she is to have me. The truth is I’m the lucky one. I never met anyone who truly lives each day to the fullest, who never complains even on her worst days, gives selflessly, provides hope and strength to women battling this disease and never allows herself to quit at anything.